We just moved about a month ago. We hadn't moved in 5 years and one year before that was a local move. This move was tougher than the last, since we moved 5 kids this time...and all the stuff. Oh my, so much stuff. We did our best to pair down and donate and pass along a lot of our unused items. It felt so so good to get rid of so much. But when we got here I realized we didn't get rid of nearly enough. So a lot of our stuff is just sitting in boxes in the unfinished part of the basement...and that is fine, for the time being. I'm going to have to face the facts and go through it all eventually. There aren't any boxes in our main living areas any more. 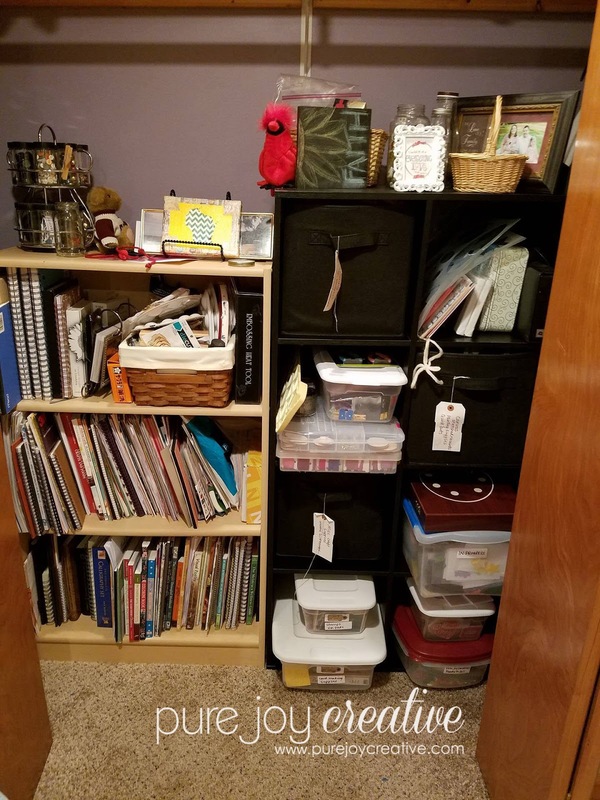 Last week I finally got the boxes emptied and out of the girls closet and we moved the boxes out of our basement family room into the storage room. It makes it feel so much more like home without boxes lying around every where. Our basement storage as you can imagine is a mess though! Eventually we will tackle that! One of the best things about our new house is the basement. Half of the basement is finished and as I mentioned before half is unfinished, but works great for storage. There are also two bedrooms in the basement. My oldest daughter was so excited to find out she would be getting her own room!! And I was ecstatic to find out that I would be able to use the extra basement bedroom which has no windows as a CRAFT ROOM!!! So, yeah, no windows...but a CRAFT ROOM! I will take what I am blessed with! So the process of setting up said craft room has been a lot trickier than I imagined. So much of my stuff was spread throughout three different rooms in my old house that now I have to figure out a way to make everything flow in one room. I have taken to pinterest and created a board just for my dreams of how I want my craft room to look and feel. Obviously I won't be able to implement ALL of the ideas I have pinned but it's a great way to find some ideas for things I didn't think of on my own. I am still in need of a desk and some closet shelves but I feel good about where I am at and I am able to work in there so that's good. I will share some pictures with you so you can maybe get some ideas for yourself...but please know this is just a couple of weeks unpacked and still a huge mess (which I'm not really showing you). 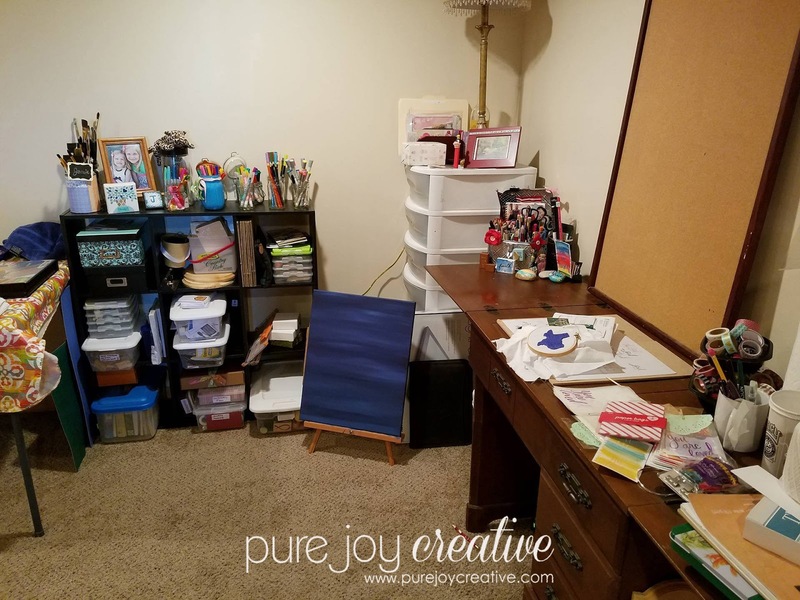 I have dreamed about having my own craft space for YEARS...so I am not trying to rush through the set up and organization of my room. It's a work in progress and will take some time. Especially finding the perfect dresser to hold up a door as a desk top for me! 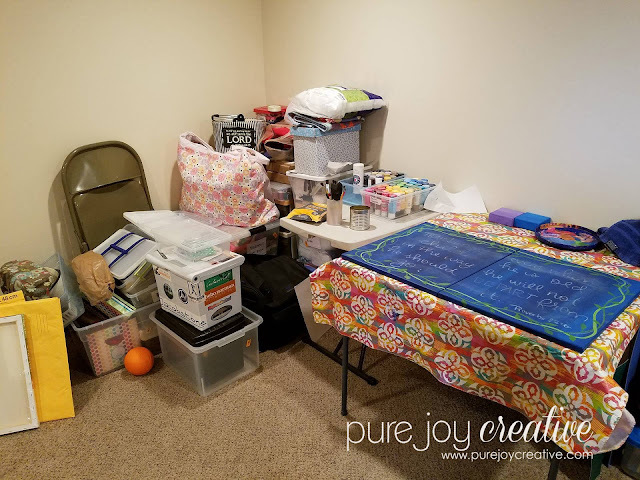 So excited to have the space and I think my husband is SUPER excited to get all the craftt supplies out of our bedroom!! And remember that my craft room budget is slim to NONE!! So I am using things I already had and making my own items. 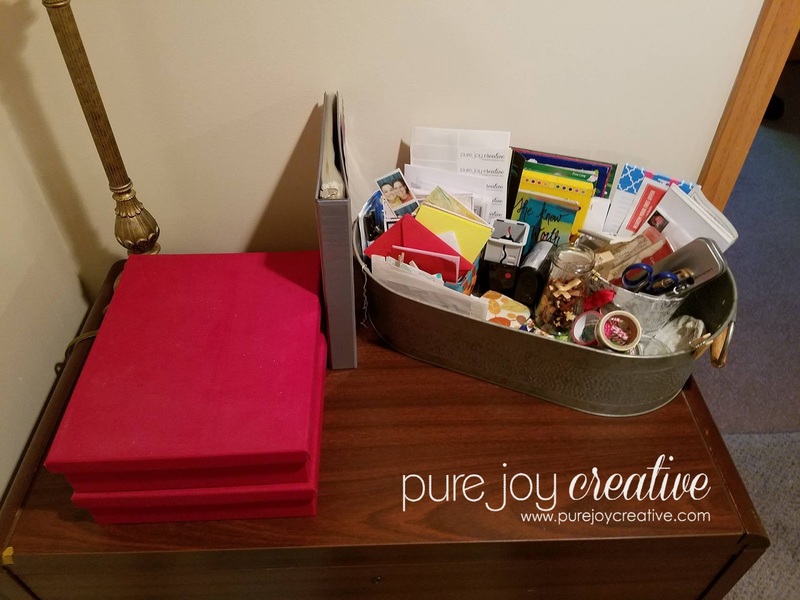 Until a craft store picks me up and helps me furnish my room (in my dreams) it may look a little like a college dorm with a hodpodge of mismatched furniture and storage items. And I am okay with that for the time being. I will work on a cohesive look once I get all my big furniture items (which I have to save up for a buy with cash!!) So, please don't judge my non-magazine worthy craft room. I am just elated to have the space!!! 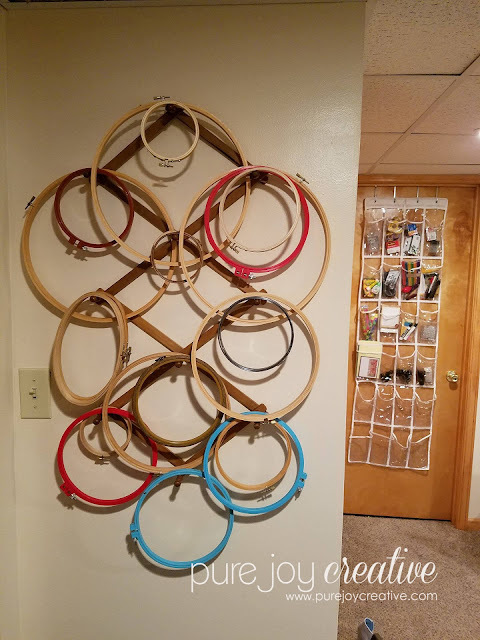 When you first walk in your can see my wall of embroidery hoops and back on the other door (that leads into the storage part of the basement) is a shoe organizer full of office supplies. This is on my desk with my essential pens, scissors and other items ready at hand. 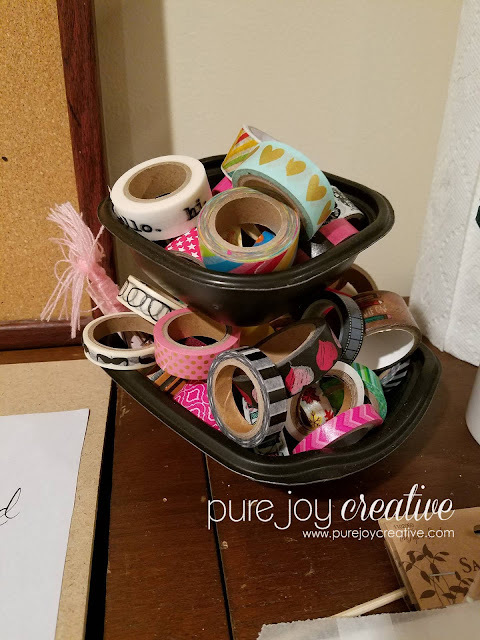 I made this washi tape holder out of two chick-fil-a containers and two empty bobbins!!! My closet holds my bookshelves and I hope to eventually have my husband build some wall to wall shelves so I have a little more space. This is my desk area and I'm still working on organizing everything but it's a place to work for now. Since this was an old sewing table there's a big hole in the middle of the table so I plan on getting a big piece of wood to cover the entire table! The top of my shelf next to my desk holds all my markers and paint brushes. 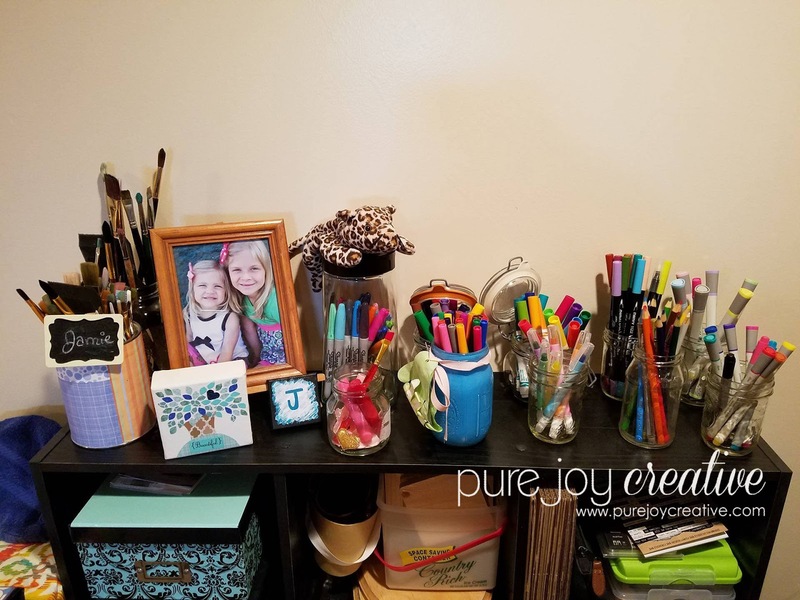 I love the use of the glass jars and it's fun to see all the colors all the time! I just have a card table set up for now for my painting area and hope to eventually make a big corner desk for this area. To the left will be my sewing area and then where the card table is now I will have a painting desk. This is my shipping area. 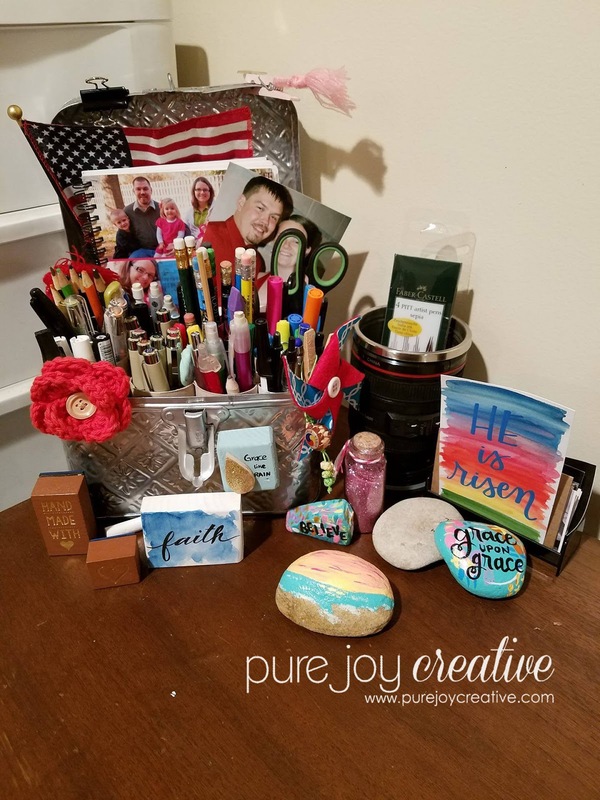 It is situated on top of a big filing cabinet that holds all my original drawings and other items nice and organized. At least one place is organized. 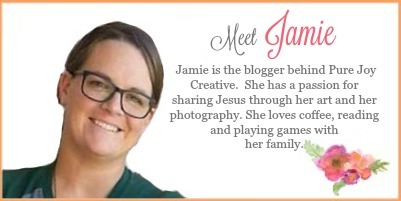 So there's a little craft room tour for you. I hope to come back in a couple of months and show you the transformed beautiful craft room. I can't wait to get some things up on my walls. I would love to have a couple of "maker" walls full of art by other people so if you're up for a trade let me know! Until then, happy crafting friends! !